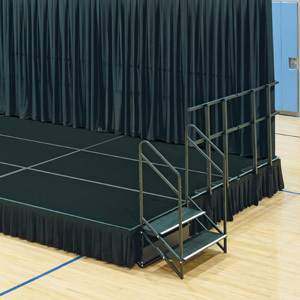 You can quickly add finishing touches to complete your stage with Wenger skirting, backdrops, and frames. Ask your Wenger representative to provide fabric samples to match your performance area color scheme as well as specifications and pricing. Skirting and backdrops are customized to your specific application. Please call your Wenger representative for assistance.